C-suite positions have been growing rapidly as more business segments gain greater roles of responsibility. Procurement and the supply chain are part of that growth. There was a time when companies could look to different functions and departments within the company as “costs of doing business,” paying little to no attention to the reality that, if handled smartly, every department can and should contribute to a company’s strategic and growth goals. That is changing, not as quickly as it should; but it is changing nonetheless. Many successful mid-size to large companies have expanded the C-suite, from just CEO, COO, and CFO, to now include CPO (Chief Procurement Officer) and CSCO (Chief Supply Chain Officer). To be fair, for a number of those companies, the CPO also has oversight over the full supply chain. A May 2017 article in Supply Management, the news site for the Chartered Institute of Procurement & Supply, cites a survey of more than 600 supply chain professionals across 17 countries. According to this survey, 67 percent of supply chain leaders held positions at the executive management level, and where the supply chain leader sits on the board, those companies were more likely to see an increase in earnings vs. those companies where the supply chain leader was in a middle-management role. This attests to the value of the supply chain to help achieve the company’s revenue goals. Supply chain complexity is an issue for 70 percent of respondents. Additional findings in the survey show not only how important the supply chain can be to a company, but also how far companies have to go in order to optimize it. Of the survey respondents, 7 in 10 opined that their supply chain was very or extremely complex. This may be true, but it doesn’t have to be this way. Simplifying the operation is not only possible but probable when supply chain tools are automated. Relying on digital data and documentation rather than reams of paper streamlines the processes, increases accuracy, and provides visibility into each step of the supply chain process. According to the survey, full supply chain visibility was the third most important priority. But two years ago, visibility was considered sixth in the list of priorities. Even more noteworthy, only six percent of firms indicated that they had this visibility. At the same time, only 53 percent of respondents, a small majority, indicated that their enterprises utilized “advanced innovative practices within their supply chain.” Many tools and solutions currently exist that will enable companies to optimize their supply chain. As the survey notes, best-in-class companies that are agile and invest in technology do realize that optimization. Containing costs is still top of mind. Containing cost increases is at the top of the most important challenges for the supply chain, according to the survey. Companies that give procurement and the supply chain the liberty to make advances and changes necessary to contain costs find that they reaping additional benefits, while also reducing costs. The supply chain is part of a collaborative effort throughout the procure-to-pay process. To that end, one of the main steps necessary to reduce costs is to break down silos. Digitizing the P2P cycle from end to end streamlines the entire process and ensures accuracy in payments. By making payments on time and at agreed-upon terms and prices, companies are able to realize greater discount capture, ensure better supplier relationships, and put themselves in a stronger negotiating position. 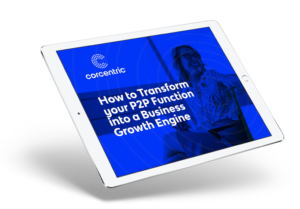 The visibility that is provided by moving to a digital, rather than paper-based, P2P process gives stakeholders greater insights into cash flow and working capital. With comprehensive data in-hand, executives are able to better manage their spend, which goes a significant way towards controlling and reducing costs. See how managing procurement effectively can help boost savings, innovation, and growth.